Tired of dull, dry and under nourished skin? 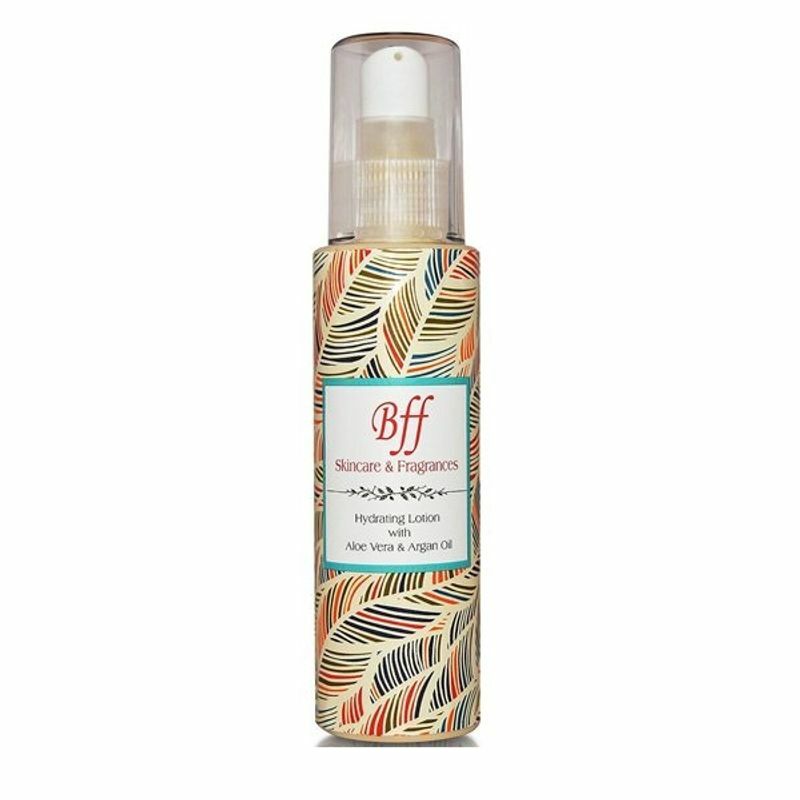 If Yes, then BFF Hydrating Lotion is the solution for you. 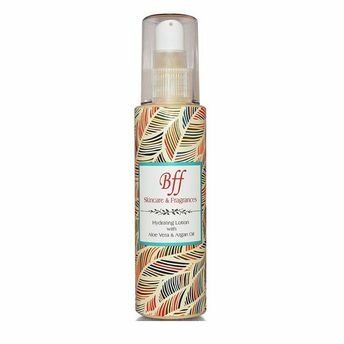 This is a natural moisturizer with nourishing and hydrating properties of Aloe Vera, Argan Oil and Almond oil. Now anybody can get rid of dry, flaky and patchy skin just by adding this on to daily skin care products. Aloe Vera: With over 90% of water content, along with amazing Anti-oxidants, hydrates, nourishes & rejuvenates the skin. Argan Oil: With excellent moisturizing abilities is also packed with Vitamin A & Vitamin E. Rich in Antioxidants & Fatty acids it promotes healthy skin & gives a youthful glow. Almond Oil: A very light oil, loaded with essential Nutrients has incredible moisturizing & nourishing ability.